Ellipsoidal mirrors have a surface form that are characterized by a pair of conjugate focal points. The most common configuration of this type of optic is when used in conjunction with a spherical secondary to produce a Dall-Kirkham telescope. The main advantage is that the physical extent of this layout is short and compact, thus reducing the telescope’s length and enclosure. This telescope configuration is used in many telescope, camera and beam expander/reducer systems, in fact it is the most popular configuration chosen for Optical Surface’s beam expander range. 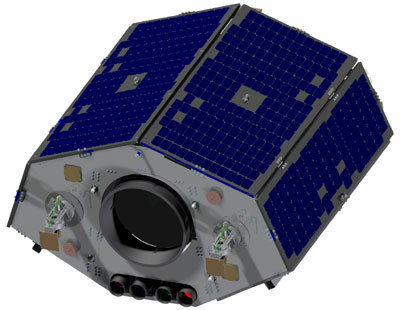 Optical Surfaces supplied the primary mirror used in SSTL’s micro satellite, Beijing 1, launched in October 2005. The 310mm, light weighted mirror was figured to better than L/20, using a custom made null corrector plate. Many other very demanding parameters, such as centering, parallelism and radius tolerances had to be fully met before final acceptance. The satellite has provided the Chinese government and commercial users information on agriculture, water resources, environmental and disaster monitoring throughout China. The images were used extensively in the run-up to the 2008 Beijing Olympics to develop the infrastructure required for such an event.